The Heliot Steakhouse lies within the iconic Hippodrome Casino in the heart of London's Leicester Square and offers a fine dining experience centred around a menu of grills and steaks. Adopting its name from the renowned Claire Heliot who famously tamed lions at the casino back in its heydey, the restaurant overlooks the main gaming floor and has become a well-visited part of the establishment within its own right. 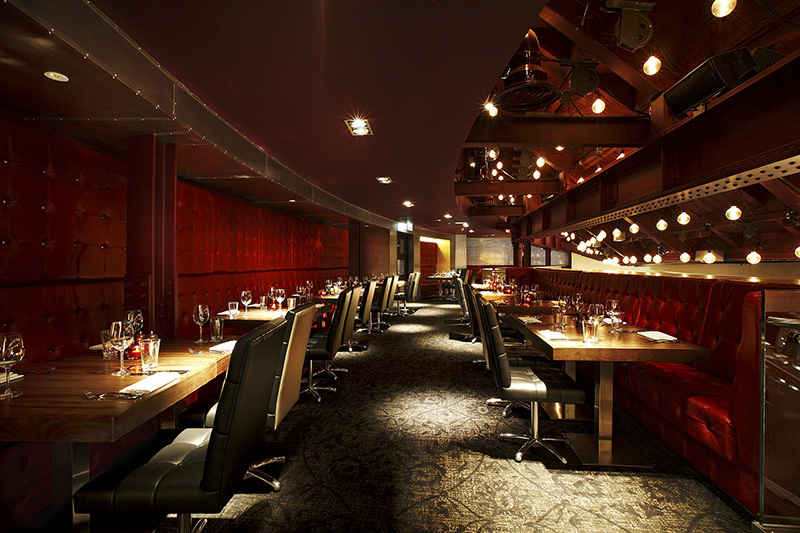 Taking a contemporary and refined contrast to the classic steakhouse stereotypes, Heliot is somewhat of a hidden gem. Plush leather seating and modern lighting give it a relaxed lounge styled vibe and I often retreat to the cocktail bar within the restaurant for a post game tipple. Heliot is also a prime people watching spot and one often finds themselves immersed in the atmosphere of the surroundings. The menu at Heliot champions top quality USDA prime steaks alongside a variety of classic dishes such as spatchcock chicken and sea bream. The starters are relatively light and are perfect for a smaller snack or before one of the heartier mains. I typically go for the Goat cheese lollipops, nicely presented, the melted cheese is tastefully coated in breadcrumbs and comes served on a bed of wild rocket. The soup of the day and Quinoa salad are also excellent options if you plan to follow with meat as a main. The steaks themselves come in different sizes and can be cooked to preference. Generally they come flame grilled, I normally have the fillet, its tender and best-done medium rare for maximum flavour. Heliot prides itself in its range of fancy extras and sides, think lobster and chargrilled king prawns to make that steak all the more special. Perhaps the highlight of the menu is Heliot's offering of sides, the truffle mash always serves a treat and their signature Millionaire's mac & cheese is simply a must, it comes topped with a poached duck egg and made with black truffle. Top it all off with one of the fabulous house cocktails and you'll soon see why Heliot is fast becoming one of London's favourite restaurants. Open daily; Heliot serves dinner from 5pm with lunch between noon and 4pm at weekends with a new offering of American Brunch from 11.30am til 4pm on Saturdays and Sundays. Booking is recommended and ID is required for entry to the club is only open to over 18s.